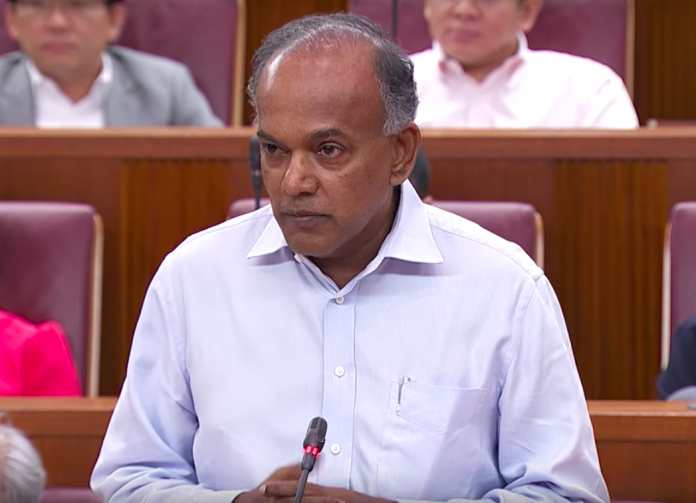 Parliament will have “a proper debate” on issues like hate speech, race and religion next month, said K Shanmugam on March 19 at the 15th Religious Rehabilitation Group retreat. This is a curious way of framing any debate, which kind of highlighted the fact that in the context of Singapore, space for any other than proper debate is, in the eyes of many observers, pinhole sized. Let’s leap over what has been happening or achieved all these years – the activities and policies described variously as community-supervised (RRG), inter-community, behind-closed-doors – and talk about where we are today and why what Singapore has achieved so far may not be quite enough. Ours has been touted as a model multi-racial society where every other faith has a presence here. But it is not yet able to maintain a strictly secular approach to the way we do things. It is more that of working out a balance, advantaging some at the expense of others. Yes, the Singapore model of consultation and constant inter-reaction among leaders of the main religious faiths sets the right tone in helping to maintain harmony. In a real crisis, however, how the society at large itself responds will make a big difference. There must be appreciable give and take for all to feel they have a stake in influencing the direction and want to participate. In theory and practice, the state must be strictly neutral. To earn the authority to act on hate speech or race or religious issues and expect support from large segments of the public, it must never be seen to side with or be under undue pressure from any religious group. If you are not a fan of heavy metal (like Indonesian President Joko Widodo, no less) or black metal music (as performed by Watain), at least do not impose your personal dislike for such music on others. In the end, it is the people themselves who will count the most. Their character will make the difference – in peace and war. It may not be about religion or race at all. It may be something as clear as having high tolerance backed by a heavy degree of steely determination. The New Zealand killings should offer some lessons worth bringing up in Parliament. The New Yorker published an article on how the New Zealand Prime Minister handled the crisis. Jacinda Ardern practised a policy of explicit disregard towards the Australian terrorist, it said, quoting the Kiwi leader: “He sought many things from his act of terror, but one was notoriety. And that is why you will never hear me mention his name. He is a terrorist. He is a criminal. He is an extremist. But he will, when I speak, be nameless. And, to others, I implore you: speak the names of those who were lost, rather than the name of the man who took them. He may have sought notoriety, but we in New Zealand will give him nothing. Not even his name. In the aftermath of the attack, New Zealand quickly and instinctively closed ranks and reached out to its Muslim citizens. No chest-thumping, no talk about revenge. Just gritty determination to heal and move on. Very much like the disaster-accustomed Japanese, another island nation. Do Singaporeans have this resilience? This is of far greater importance than a sanitised debate or whatever may be planned for Parliament next month. If SCC can do it, why can’t FAS or SportsHub? Oh wow. Some 60 teams are battling it out at next month’s Singapore Cricket Club Soccer Sevens tournament, with 17 of the teams overseas-based clubs from Malaysia, Indonesia, Thailand, Japan and Hong Kong. Besides the four existing categories – Open, Masters, Legends and Youth – a new Corporate category has been introduced this year. The category features eight teams from corporations such as Citibank Singapore, Bank of China and Ernst & Young. The event will feature a marquee player. Retired Spanish and ex-Spurs star Mohammed Alí Amar, better known as Nayim, will be playing for the Bruce James Select team in the Legends competition. SCC has also partnered the Chelsea FC International Development Centre Singapore to conduct a training session on March 22 for two visiting youth teams – the Phuket Youth Football Home and the Bali Sports Foundation. So, what has been happening to the FAS and SportsHub? Can’t they do anything like this? It takes a cricket club to show them how to create buzz in soccer.